Pathstar was co-founded by Dr. Nancy Iverson, who now serves as executive director. As a physician, Dr. Iverson volunteered to serve Native Americans on the Lakota Pine Ridge Indian Reservation in South Dakota, the site of the Wounded Knee Massacre of 1890. Dr. Iverson remembers sitting in a graveyard and examining the many tombstones, taking in the birth and death dates of Native Americans in recent times. These dates told of another massacre—a slow massacre. Most Native Americans die before they reach their forties. Dr. Iverson began to look for a way to inspire positive change. The Alcatraz Swim in San Francisco stood out to her as a way to focus and motivate Native Americans to commit to a life of wellness and possibility. 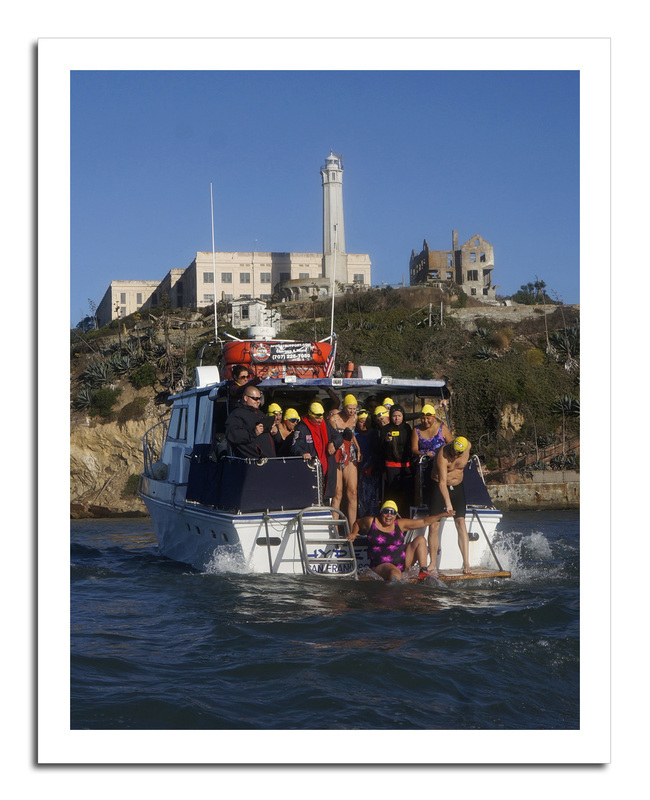 Pathstar made this vision a reality and each year since 2002, Pathstar has sponsored an Alcatraz swim beginning with a week of physical training and healthy meals, including plenty of trips to San Francisco farmers’ markets. Their vision: Imagine Native Americans, both on and off reservations, living healthy lives of meaning and purpose, reclaiming the best of indigenous practices, augmenting these with the cultivation of wholesome ‘new traditions’ and serving as a catalyst for inspiring self-reliance and optimism among families and communities. Imagine individuals and families demonstrating the resourcefulness that grows from the experience of having personally met challenges and accomplished goals while embracing their cultural values and wisdom and contributing to education and community development. Imagine the incidence of diabetes and heart disease among native populations being as low as it was when the Northern Plains Indians were regarded as the healthiest in the world. Imagine support systems strong enough that individuals, families and communities meet adversity with dignity and self-reliance. This vision is achieved through an intensive week-long educational and experiential swimming program. Through support and advocacy, Pathstar works to help Native American communities overcome geographic, economic and political obstacles concerning food availability, eating habits and food preparation. After this week of preparation, they are ready to swim the one and a half miles from Alcatraz Island to shore. This past week was life changing and the swim itself was transcendental. I will never look at the ocean or myself the same again and this is just the beginning. Now, I must go out and teach what I’ve learned about nutrition and exercise. I'm hoping to take everything that I’ve learned, maintain it in my own life, and be a catalyst for change in other people's lives. Thank you, Pathstar, for awakening in me the commitment to help myself and my community! The Kelly Ann Brown Board felt especially drawn to this organization working to promote health in Native American communities that includes the swim from Alcatraz. Kelly herself was a competitive swimmer in her younger years, and as an adult worked out at the gym and with a personal trainer regularly. KABF knows Kelly would have agreed with Dr. Iverson that the Pathstar swim inspires people to focus on believing in themselves and their ability to accomplish what they set out in life to do.